Locally owned Capital Wine takes pride in knowing its wines, and its customers. Voted Best Neighborhood Wine Store by Metroland three years in a row, we give back to our community by hosting weekly free wine tastings, revolving our window displays with seasonal and whimsical themes (often featuring local artists), and providing treats to our four legged friends. We also have been known to provide free old house advice! We support neighborhood events that help make Center Square a great place to live and visit! Festivities include: First Friday Art events, WinterWonderLark, Champagne on the Park, Art on Lark, Larkfest, House and Garden Tours, Holiday House Tours, and the ever popular Santa Speedo Run. Sure is a lot to do in our neck of the woods! Our tip jar charity, rotated about once a month, serves such causes as Damian Center, Ronald McDonald House, Food Pantries, Parkinson’s Research Fund and the Wildwood Foundation. 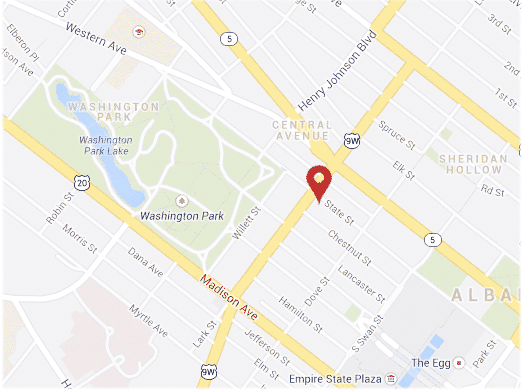 We donate wines for charitable fundraising events for institutions such as The Albany Institute of History and Art, the Washington Park Conservancy, Historic Albany Foundation, and Ten Brock Mansion. We have been an underwriter of local public radio station WAMC since 2011. A wine store has been in operation continually at this location for over 30 years. Current owner Mark Brogna purchased the business in 2008 and has a history of community involvement since moving to Albany in late 1997: managing the architectural salvage warehouse of the Historic Albany Foundation on Lexington Ave from 2001 to 2009, and owning and operating the iconic Lark St. Bookshop (voted Best Used Bookshop, Metroland) from 2002 to 2006. 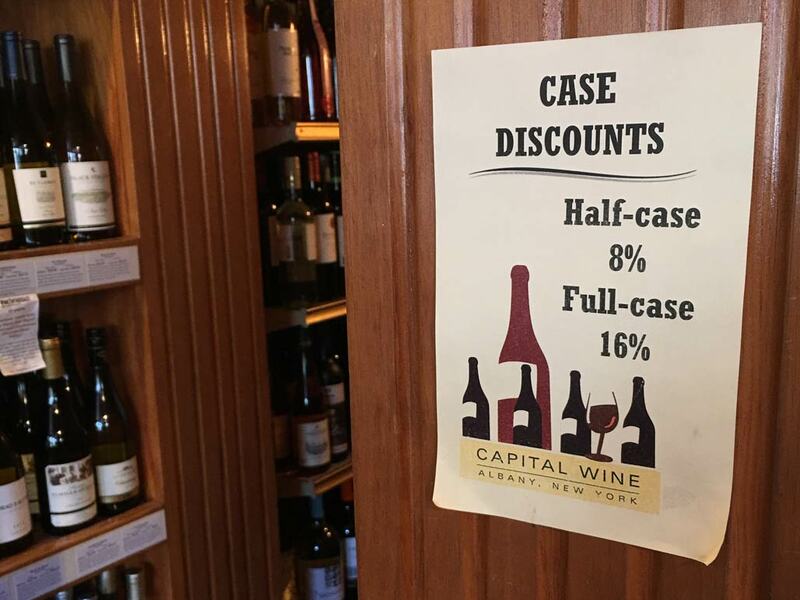 Capital Wine is located at the corner of Lark Street and State Street in Downtown Albany. We look forward to your visit. Capital Wine Albany hosts a free wine tasting every Friday evening from 6 to 9 pm, featuring several wines chosen by our own staff. Last pour is at 8:45 pm, so come early to savor the selections! Check our facebook page for specials and announcements.